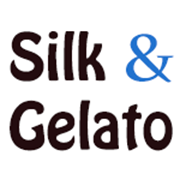 Silk and Gelato: First Time Buying a House? Enjoying Sunday brunch in our dining room. Three years ago, my husband and I were in the process of buying our first home. It was an exciting but stressful time, and I want to share a few tips and recommendations that helped us out. There are some basics, like always get a thorough home inspection, organize all your taxes and financial information, get both names on the mortgage (if you're buying a house with a partner), and ideally have a credit score higher than 700. Here are a few more ideas that will hopefully make the process that much smoother for you. The bank will probably approve you for more than you may be comfortable. The bank came back with a number for us that we knew was more than we'd be comfortable with. In fact, my husband Michael and I loosely based our "comfortable number" off of one income. This meant that last year I could walk away from a job that was making me miserable and start doing some freelance consulting. I wouldn't have had that flexibility if we were already maxed out. If you buy a house that is at the maximum of your budget, be prepared for some extra stress and a lack of flexibility in your life choices. A house is constantly a work in progress and you don't want to feel overwhelmed immediately. Break down the mortgage, taxes, and homeowners insurance and make sure you're fully comfortable with the final number. Find a buyer's agent you can trust. A friend recommended our buyer's agent to us, and we were so fortunate to work with her. The sellers ended up being extremely difficult, and we were glad to have a realtor to serve as a mediator. Our agent helped us look at houses differently, worked on our paperwork, and made the process much easier. As a buyer, you don't have to pay a buyer's agent, and they can serve an important role for you in the process. I would recommend that every person buying their first house should work with a buyer's agent. Don't get emotionally invested in a house until after the closing. This is something Michael and I were really good at! We were quite realistic and critical of houses throughout the process, which kept us level-headed throughout the process. It's important to be able to see yourself living in a house, but you don't want to have every room planned out immediately. Do not get emotionally invested in a house until the keys are in your hand. Drive by the house at different times during the day. 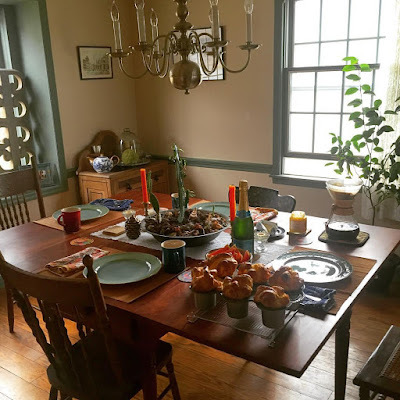 The house may seem like it's really quiet and the road has hardly any traffic when you visit mid-morning. However, you may find that during rush hour, there are lines of honking cars right outside your door. Drive by on the weekend or evening and see if it still seems like an area you'd be interested in living. Remember, it's all about location. Think about the resale value. It may seem crazy to think about the resale value of a house before you even put in an offer, but it's a must. Does the house have a really steep driveway? Is it an unusual shape with hardly any yard? These will cut the value of the house and also make it that much harder to sell in the future. Michael and I looked at a couple houses that had been on the market for a very long time and our buyer's agent was able to point out several reasons why the resale would be difficult. If you can, put 20% down. Besides the instant equity, you'll avoid expensive private mortgage insurance, which if you and your partner make more than $110,000 ($55,000 per person) you won't be able to deduct from your taxes (there are many more reasons why it's good to not have to deal with PMI, and click the above link to learn more). If you put 20% down, you can also avoid the requirement of a mortgage escrow account, which is when you pay your lender a specific amount monthly to cover your property taxes, homeowners insurance, and private mortgage insurance. Why is that a benefit? Think about your monthly bills: One month you may have more to put in savings, another month you may have an expensive car repair, an appliance breaks, or you have to travel to a family member's wedding. If you aren't required to use a mortgage escrow account, you can put money aside to pay your property taxes and homeowners insurance. If you're good with budgeting and like to be in control of your own money (with a mortgage escrow account, a third party would be holding your money), then this is definitely for you. Don't spend all your money on the down payment. I've heard many people say, "It's a turn-key house so it doesn't need any repairs or work." Trust me, it will. Even the most beautiful houses need maintenance: something will need to be repaired, a toilet seal will leak, or an appliance will break. This article recommends setting aside about 1 to 3% of your home's purchase price for yearly maintenance alone. The bigger the house, the more funds you will need to set aside so bigger is not always better. Make sure that you are comfortable with your house, the bills, and that your budget will remain relatively similar to the lifestyle you've become accustomed to. Enjoy the process and I hope you find the home of your dreams soon.